In musical games players create music or do actions based on played music. 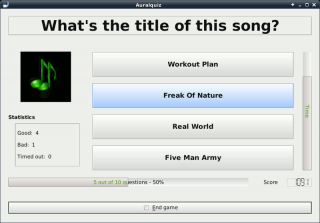 Auralquiz is a free game. This means that the source code is available to be studied, modified, and distributed. Most projects look for help with testing, documentation, graphics, etc., as well. Auralquiz is a music guessing game, which plays samples from the user’s sound file library, and lets the user guess (choose or type in) the artist or title from the file tags. 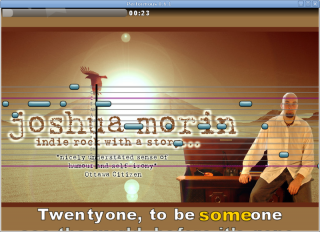 Frets on Fire is a free game. This means that the source code is available to be studied, modified, and distributed. Most projects look for help with testing, documentation, graphics, etc., as well. 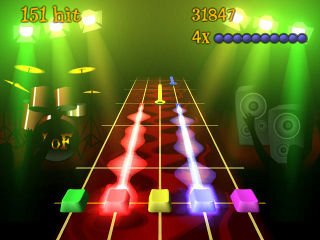 Frets on Fire is a musical game where you must play a guitar as accurately as possible. The latest version of the game is 1.3.110 released on November 4, 2008. It was created for the Assembly 2006 Game Development Competition; in which Frets on Fire won. It used the SDL library and was written in the Python programming language. StepMania is a free game. This means that the source code is available to be studied, modified, and distributed. Most projects look for help with testing, documentation, graphics, etc., as well. StepMania is a dancing game. They do not host any songs but you can find many in the forums. Level 1, in windowed mode. Transcend is a free game. This means that the source code is available to be studied, modified, and distributed. Most projects look for help with testing, documentation, graphics, etc., as well. Transcend is an abstract 2D shooter game created by Jason Rohrer. The game's source is licensed mostly under the GPL, but with some public domain code as well. The latest version is 0.3 released on August 30, 2005. Rohrer was motivated to create the game out of frustration with the game industry's lack of creativity. 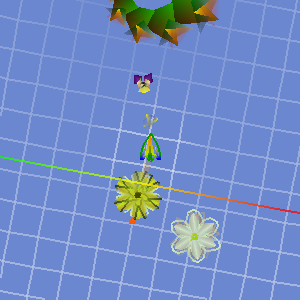 Its dynamic graphical engine can smoothly morph from one complex shape to another. This page was last edited on 22 October 2017, at 19:34.